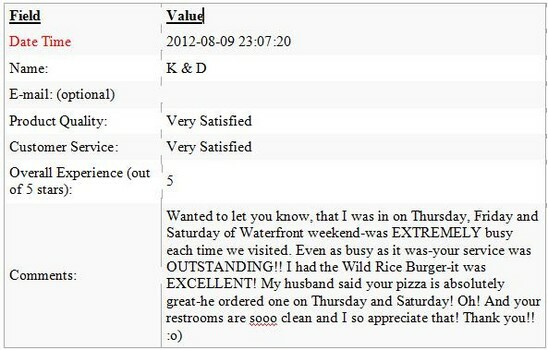 Comments: Have always received excellent service and food. When I ask for the Tigers on the tv they do not hesitate to put the on! Excellent pizza. Have tried most everything on the menu and it is all well presented and delicious. I highly recommend this establishment. Mmmmmmm....Keweenaw on draught! !